Abstract: For the determination of the smoothing factor (also known as the regularization parameter) in the co-seismic slip distribution inversion, the compromise curve between the model roughness and the data fitting residual is generally used to determine (in order to distinguish the method proposed in this paper, the method is called "L curve" according to its shape). Based on the L-curve, the eclectic intersection curve as a new method are proposed to determine the smoothing factor in this paper. The results of the simulated experiment show that the inversion accuracy of the parameters of the seismic slip distribution with the smoothing factor determined by the eclectic intersection curve method is better than that of the L curve method. 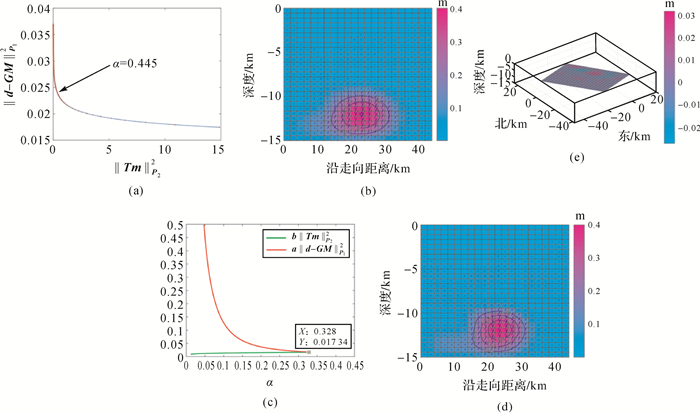 Moreover, the eclectic intersection curve method and the L curve method are used to determine the smoothing factor of L'Aquila and Taiwan Meinong earthquake slip distribution inversion respectively, and the inversion results are compared and analyzed. 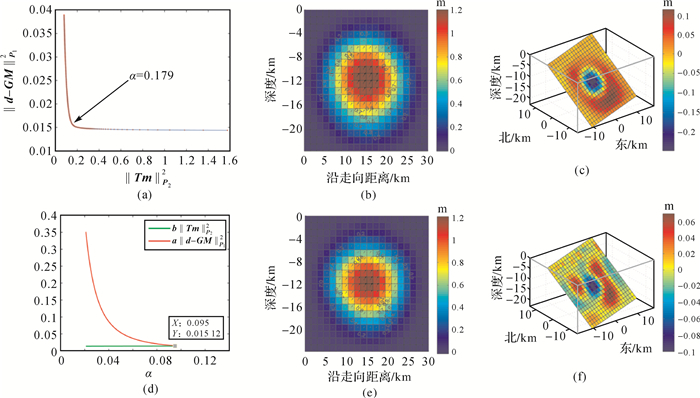 The analysis results show that the L'Aquila and Meinong of Taiwan actual earthquake slip distribution results are in the range of other scholars at home and abroad, and compared with the L curve method, the eclectic intersection curve method has advantages of high computation efficiency, no need to depend on data fitting degree and more appropriate of smoothing factor and so on. 许才军, 邓长勇, 周力璇. 利用方差分量估计的地震同震滑动分布反演[J]. 武汉大学学报(信息科学版), 2016, 41(1): 37–44. XU Caijun, DENG Changyong, ZHOU Lixuan. Coseismic Slip Distribution Inversion Method Based on the Variance Component Estimation[J]. Geomatics and Information Science of Wuhan University, 2016, 41(1): 37–44. FUNNING G J, PARSONS B, WRIGHT T J, et al. Surface Displacements and Source Parameters of the 2003 Bam (Iran) Earthquake from Envisat Advanced Synthetic Aperture Radar Imagery[J]. Journal of Geophysical Research:Solid Earth, 2005, 110(B9): B09406. 许才军, 刘洋, 温扬茂. 利用GPS资料反演汶川Mw7.9级地震滑动分布[J]. 测绘学报, 2009, 38(2): 195–201, 215. XU Caijun, LIU Yang, WEN Yangmao. 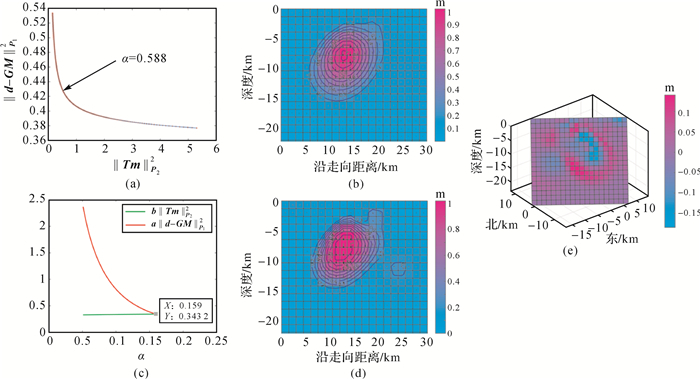 Mw7.9 Wenchuan Earthquake Slip Distribution Inversion from GPS Measurements[J]. Acta Geodaetica et Cartographica Sinica, 2009, 38(2): 195–201, 215. 张国宏, 屈春燕, 宋小刚, 等. 基于InSAR同震形变场反演汶川Mw7.9地震断层滑动分布[J]. 地球物理学报, 2010, 53(2): 269–279. 温扬茂, 何平, 许才军, 等. 联合Envisat和ALOS卫星影像确定L'Aquila地震震源机制[J]. 地球物理学报, 2012, 55(1): 53–65. 李志才, 张鹏, 金双根, 等. 基于GPS观测数据的汶川地震断层形变反演分析[J]. 测绘学报, 2009, 38(2): 108–113, 119. WANG Leyang, ZHAO Xiong, GAO Hua. A Method for Determining the Regularization Parameter and the Relative Weight Ratio of the Seismic Slip Distribution with Multi-source Data[J]. Journal of Geodynamics, 2018(118): 1–10. OKADA Y. 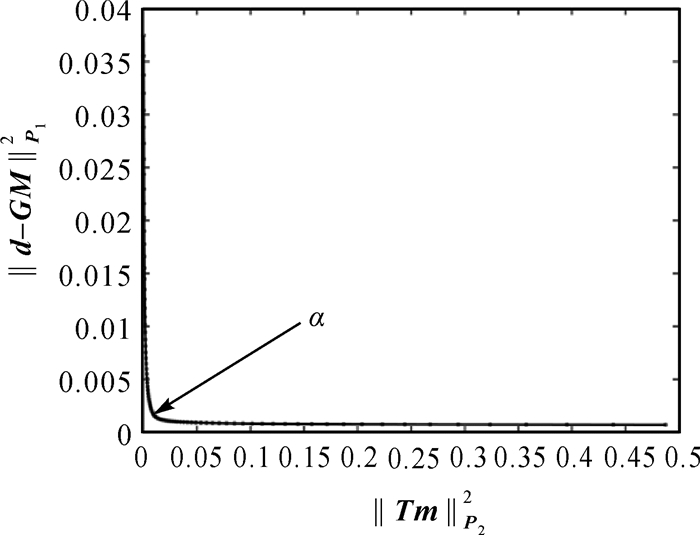 Surface Deformation due to Shear and Tensile Faults in a Half-space[J]. Bulletin of the Seismological Society of America, 1985, 75(4): 1135–1154. OKADA Y. Internal Deformation due to Shear and Tensile Faults in a Half-space[J]. Bulletin of the Seismological Society of America, 1992, 92(2): 1018–1040. 孙建宝, 徐锡伟, 沈正康, 等. 基于线弹性位错模型及干涉雷达同震形变场反演1997年玛尼Mw7.5级地震参数-Ⅰ.均匀滑动反演[J]. 地球物理学报, 2007, 50(4): 1097–1110. 刘洋, 许才军, 温扬茂, 等. 2008年大柴旦Mw6.3级地震的InSAR同震形变观测及断层参数反演[J]. 测绘学报, 2015, 44(11): 1202–1209. TIKHONOV A N. Regularization of Incorrectly Posed Problems[J]. Soviet Mathematics Doklady, 1963, 4(1): 1624–1627. 王振杰, 欧吉坤. 用L-曲线法确定岭估计中的岭参数[J]. 武汉大学学报(信息科学版), 2004, 29(3): 235–238. WANG Zhenjie, OU Jikun. Determining the Ridge Parameter in a Ridge Estimation Using L-curve Method[J]. Geomatics and Information Science of Wuhan University, 2004, 29(3): 235–238. 鲁洋为, 王振杰. 用U曲线法确定岭估计中的岭参数[J]. 导航定位学报, 2015(3): 132–134, 138. LU Yangwei, WANG Zhenjie. 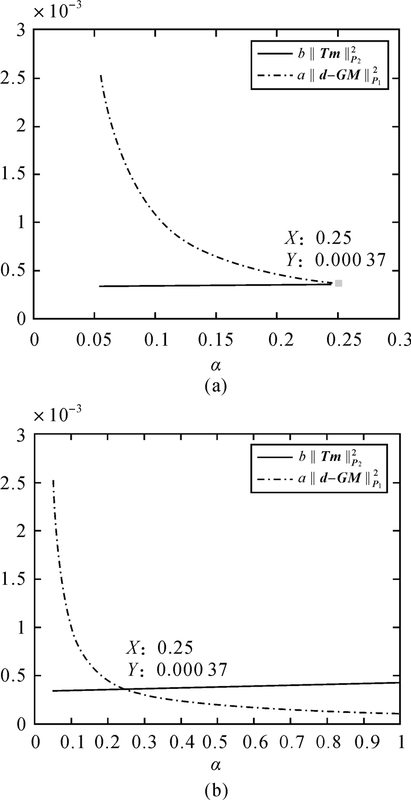 Determining the Ridge Parameter in Ridge Estimation Using U-curve Method[J]. Journal of Navigation and Positioning, 2015(3): 132–134, 138. 袁强强, 沈焕锋, 李平湘, 等. 自适应正则化多幅影像超分辨率重建[J]. 中国图象图形学报, 2010, 15(12): 1720–1727. YUAN Qiangqiang, SHEN Huanfeng, LI Pingxiang, et al. Adaptively Regularized Muti-frame Image Super-resolution Reconstruction[J]. Journal of Image and Graphics, 2010, 15(12): 1720–1727. 王乐洋, 许才军, 张朝玉. 一种确定联合反演中相对权比的两步法[J]. 测绘学报, 2012, 41(1): 19–24. WANG Leyang, XU Caijun, ZHANG Chaoyu. A Two-step Method to Determine Relative Weight Ratio Factors in Joint Inversion[J]. Acta Geodaetica et Cartographica Sinica, 2012, 41(1): 19–24. 王乐洋, 李海燕, 温扬茂, 等. 地震同震滑动分布反演的总体最小二乘方法[J]. 测绘学报, 2017, 46(3): 307–315. CHELONI D, D'AGOSTINO N, D'ANASTASIO E, et al. Coseismic and Initial Post-seismic Slip of the 2009 Mw6.3 L'Aquila Earthquake, Italy, from GPS Measurements[J]. Geophysical Journal International, 2010, 181(3): 1539–1546. 王乐洋, 高华, 冯光财. 2016年台湾美浓Mw 6.4地震震源参数的InSAR和GPS反演[J]. 地球物理学报, 2017, 60(7): 2578–2588. WANG Leyang, GAO Hua, FENG Guangcai. InSAR and GPS Inversion for Source Parameters of the 2016 Mw6.4 Meinong, Taiwan Earthquake[J]. Chinese Journal of Geophysics, 2017, 60(7): 2578–2588.